Give yourself a pat on the back. You've made it to day four. This period in the diet can be tough. You've given up your favorite foods for three days already, and there are still three days after today. This is your "hump" day, but after today you will be more than halfway through the diet! 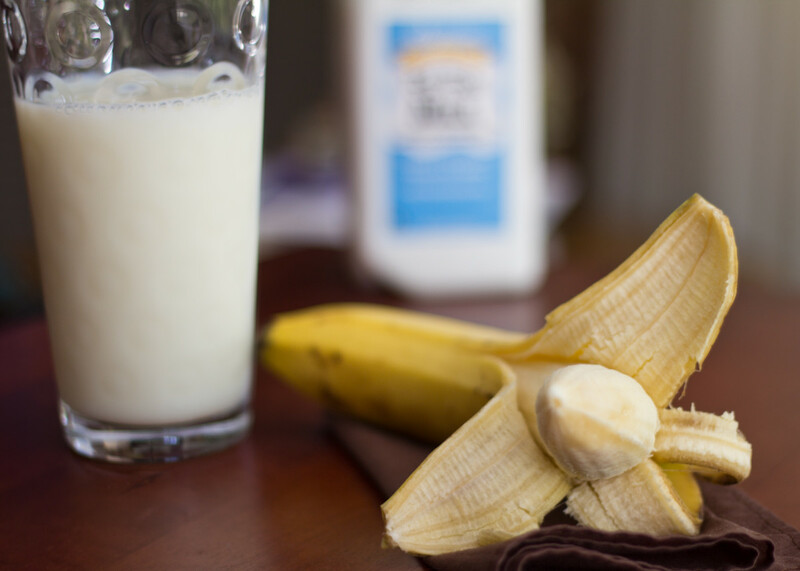 Note: If you don't like to eat bananas alone, feel free to blend the banana and milk together into a smoothie. 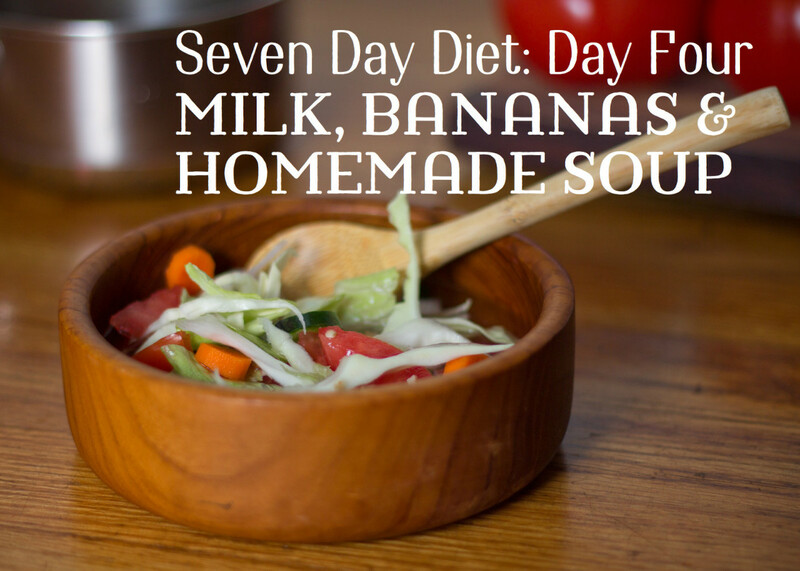 Today you should eat at least eight bananas, three glasses of milk, and one bowl of diet soup. Five bananas (so you eat eight total today). Milk is a very important item for today's menu. Plain skimmed cow's milk is the best option. If you must have almond or soy milk, drink half as much as they are higher in calories. Some of you may already feel as if you have lost a few pounds. If not, don't lose heart. It is normal to experience some weight gain at first in a diet. Once your body gets used to the new routine, you should start losing weight. Changing your eating habits can be difficult, but there are many strategies to help you succeed. Your most powerful ally is your mind! As you go through the day, remember that by eating different foods than usual you are setting different chemical processes into effect. This process will have an impact on your mood and your energy level. Try to stay focused, and read on for some tips to help you win! Remember, losing weight is not only a battle against fatty foods, but it also challenges all aspects of an unhealthy lifestyle. Just as exercise requires discipline to endure pain and discomfort, so do diets involve mental focus. Keep two diaries, the first about food. Document everything you eat. Remember, if it goes in your mouth, and you swallow, it should be mentioned in the diary. The second diary is for your thoughts and feelings. Record how you are feeling physically and emotionally. Do not give any less importance to training your mind. It will play a major role in convincing your body to keep fighting and continue exercising. At the end of the week, you will weigh yourself. Remember: Part of keeping your attitude focused is to focus on how much better you feel, not the number of pounds you have lost. Tips for Success From Readers: Craving Busters! • When you are hungry and it isn't meal time, eat an apple, make a tasty drink with honey, or make a vegetable plate with a little salt. • Frozen things can distract from cravings. Try ice or frozen currants. • Get out. When we stay at home and we're on a diet, we make it much harder. Take a walk with your diet buddy. • It's better to eliminate a tempting food completely than to "cut back" on it. A banana is a complete energy fruit that is easy to digest and is completely fat-free. 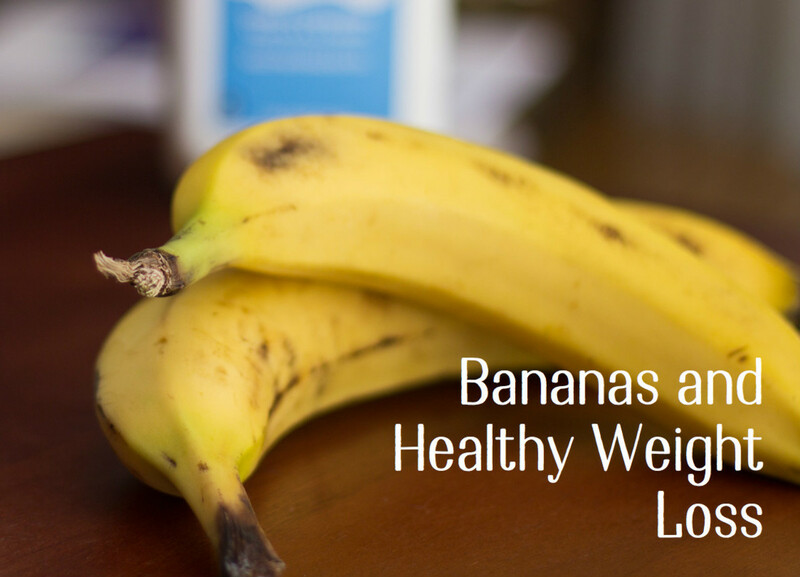 A banana's nutritional value makes it ideal for both healthy weight gain and weight loss. Bananas are a complete energy fruit. They are easy to digest and their nutrients move quickly into your bloodstream. They are completely fat-free and have such high fiber content that they actually help lower your cholesterol. 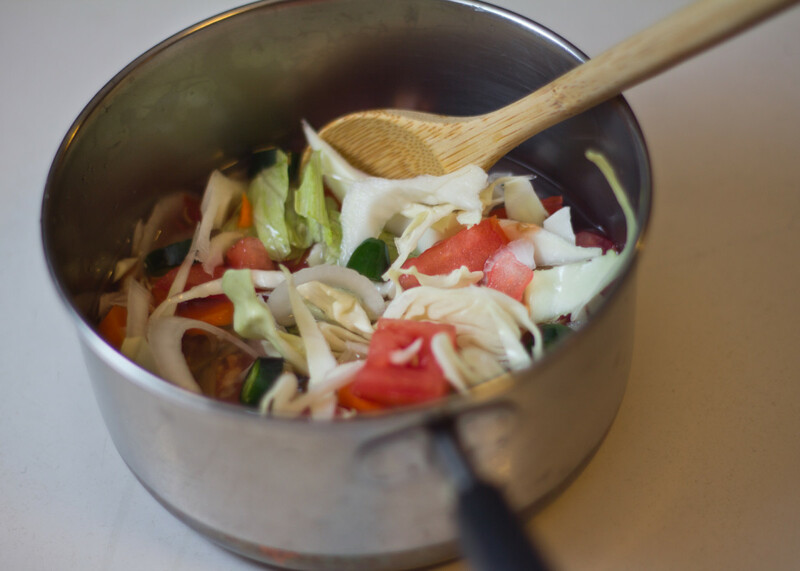 Prepare this soup fresh and eat it the same day. If you want more on days five, six, or seven, make a new batch. 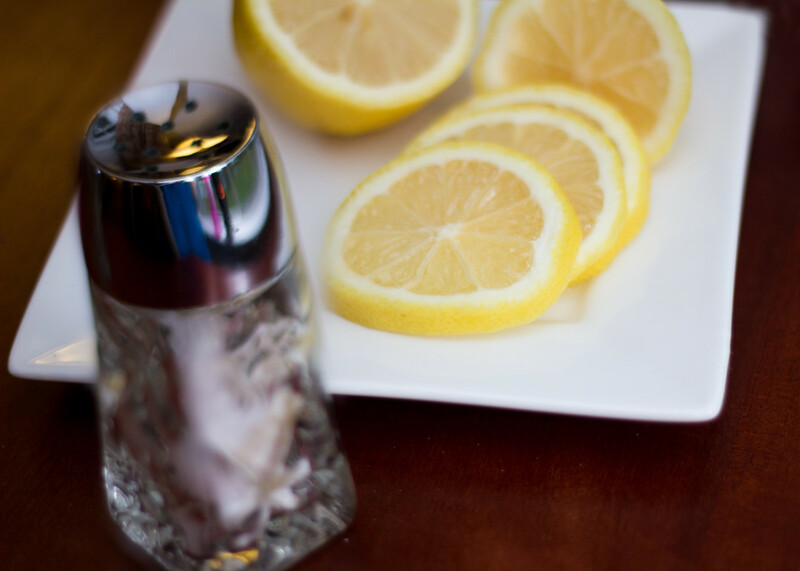 Feel free to add flavor to the soup by squeezing in some lemon juice and adding salt. Mix all ingredients together and boil for five minutes. How Was This Soup Recipe? • Do not use this diet if you are pregnant. During pregnancy, eat a healthy and balanced diet. After delivery start with my one month diet plan. After three months, try this diet to get to your desired mark. • If you have hypothyroid, you should add fish or eggs to your meals. Breakfast should be smaller than dinner. After this diet add organic meat, eggs, or fish to your diet. Use iodine rich foods in moderation for best results. We are more than half-way through and our target is not far away. You may already feel that you have lost some weight. This day's menu includes tomatoes, which are key to chemical breakdown and losing weight. Hi, I'm starting on Friday. Should I eat all the items under breakfast? for example on day on day 2 for lunch : should I eat the veggie salad and raw veggies ? Ummmm, cow's milk is NOT lower in calories that ANY alternative non-dairy milk. PLUS soya milk has nearly as much protein and much less sugars. I use organic almond milk. Cow's milk makes mucus and is not beneficial for human consumption. Is it really necessary to eat 8 (eight) bananas?, not feeling thinner today as I did yesterday and now I've got to eat 8 bananas? Also, there's conflicting information in your latest post.....I don't see eggs or fish in the menu for the day yet you mention you should eat it with breakfast or dinner....??? Please advise. Important question! I take a medication that causes a side effect of high potassium. I have to get blood work done every three months to make sure my potassium levels are not to high. I really want to continue on this diet is there anything I can replace the bananas with and get the same benifit from this diet? Or is this diet just not for me? Distribute bananas throught the day. You can eat 2 bananas every 3 hours. 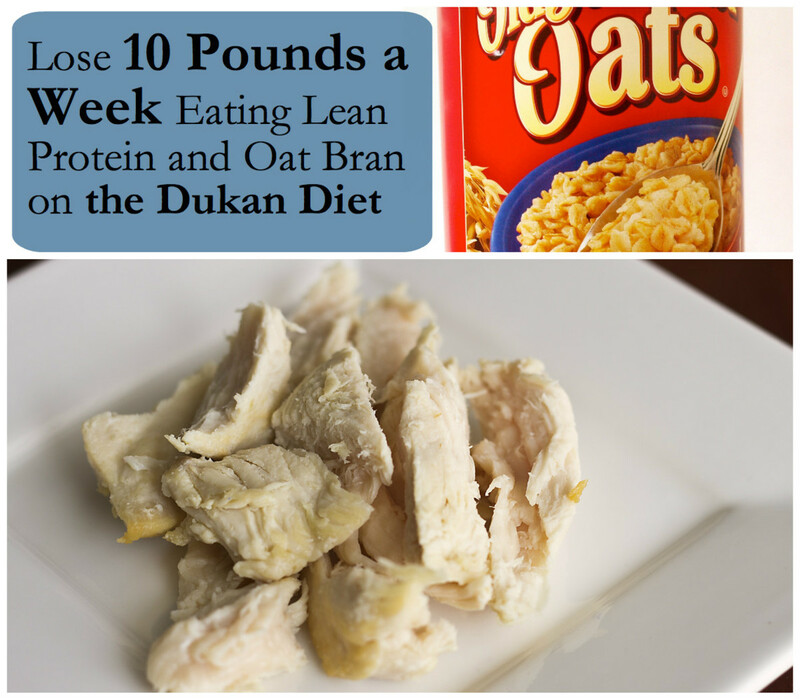 Meat egg and fish advice is for days when you are not on this diet. 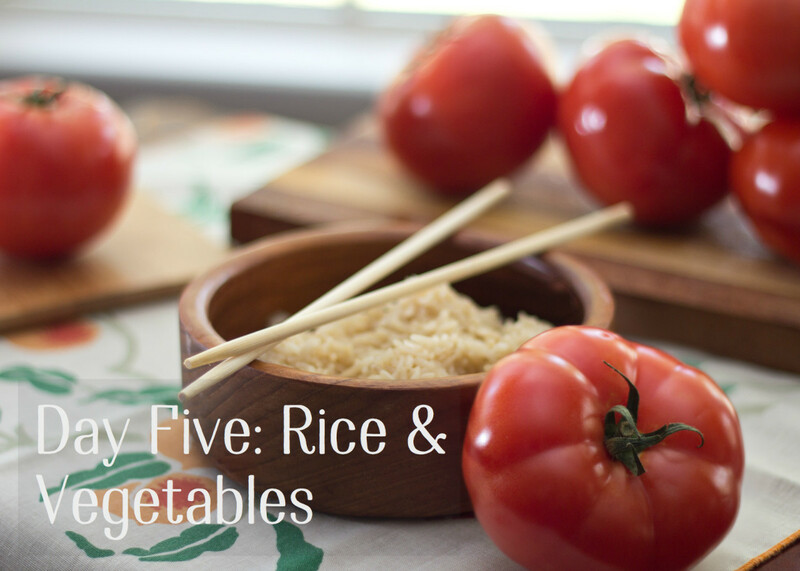 On day 4 you should add eggs or fish to your breakfast or dinner. Rest of the day stays same. I dont like bananas. On day four what else can I use in the place. I am just about to start day 4. I lost 100 grams in the last three days!! Given that this is the hardest diet I have ever been on, and reading all those comments here about the many kilos people have shed off in the first day or two, it is quite demotivating that I only lost 100 grams. Frankly, the comments about how many kilos people have lost on this diet don’t sound very legit. Anyways, will try to push myself to continue, but again very demotivated! I'm on day 3 and it is going well. For tomorrow I have a bit of an issue that I would love suggestions with. I dislike tomatoes, though I have been eating some grape tomatoes with my salad. I really can not eat onions though. So for tomorrows soup, would it be possible to just do another veggie day? Any replacements that are recommended. I have intolerance ro raw bananas could i bake them instead? Ok I am end of Day 4. I did diet. So this is already 4.5kg = 10 pounds. Will keep going. No exercise for 2 days, bad ear infection from swimming the first two days. Damn it. I noticed on Day 2 that an erectile dysfunction I've had for about a year disappeared. Strange. Not higher libido but just working erection. Diet is working really well. Just done day 5 and really motivated. I notice day 6 says I can have the salad from day 4. However there is no salad on day 4 - does it mean the vegetable and fruit salad from day 3? You dont have to eat whole cabbage, use less if you don't like cabbage. whole cabbage and 2 lettuce leaves? Can I add chicken stock in soup? 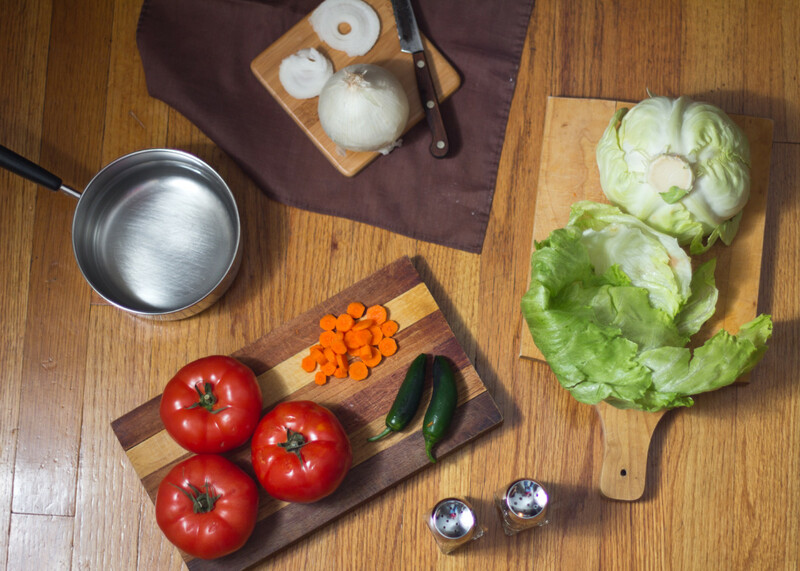 Do you use a whole cabbage or 1 leaf? I'm on day 4 today and I can tell it's getting easier with the cravings! I made some changes to the diet soup as I didn't have any chiles- I substituted with a quarter of a green capsicum, and some dried chilli flakes to add heat. I also added some freshly ground pepper, lightly dried chives and fresh chopped green onions and it made the soup really delicious! I added some more water later on because there were much more solid parts than soup even after the vegetables were all cooked. So far I've received compliments from a lot of people saying that I look like I've lost weight and my skin is glowing! On Day 1 I felt like I didn't have the energy, feeling bloated and acidy. From Day 2, I felt better after having the potato in the morning and started exercising at home starting the 30 day challenge that I was meaning to do for ages. It includes squats (starting at 50 a day to 250 a day) and core strength (push ups, planks & plank reaches). On top of that, I do some cardio every second day whenever I have the time. My self Doctor as profession. Regular marathon runner and fitness freak .The ideal weight for marathon runner for my height is 58 kgs.I am 70.8 kg. On the day one my weight was 70. kg and on day two it was 67.5.Great course.Feeling good .If I reduce 5 kgs in a week ,it is well and good. Let us hope so. Can i blend the soup? I am on day 2 and I have gotten ill and vomited both nights around 8:00. Has anyone else experienced this? This is just the "Cabbage Soup Diet". Google it. This author is only having you eat the soup one day vs daily is the only difference. STUPID! Day four and going well. Not weighed myself yet and won't until the full week is complete. I mixed my banana and milk together for breakfast. After day 2 was finished I found I had a lot of leftover veg salad so I put this into a sealed bag as I read later in the week you can use it. As day two is a mixture of veg for breakfast I used this leftover save going to waste it still veg soup. And taste not bad. I just added the chillies and aanother tomato. Lunch I will make the fresh soup as per recipe. Any left over I will use on day six. Starting day one today. Did this before but I gained it all back. In the soup, do I have to add onions and green peppers? Or can I just leave them out because I absolutely don't like them. Liana22 it's natural to weigh less in the morning, that's why they say way yourself first thing in the morning before you eat or drink for a true weight. The scale usually shows a 5 lb. Difference. Remember during the day we eat and drink and consume lots, so it's natural for the scale to show more. Hope this helped ☺ I weighed in the AM of day one and will not weigh again until AM on the 8th day. So I actually hate milk. Not sure if I'm lactose intolerant or not, but I can't keep it down. Any suggestions on substitutes? Day 4 and I've lost 5lbs! Unfortunately I started menstrating the same day I started this diet so my energy level is very low and I feel like crap. It's a struggle but I'll keep plugging along. 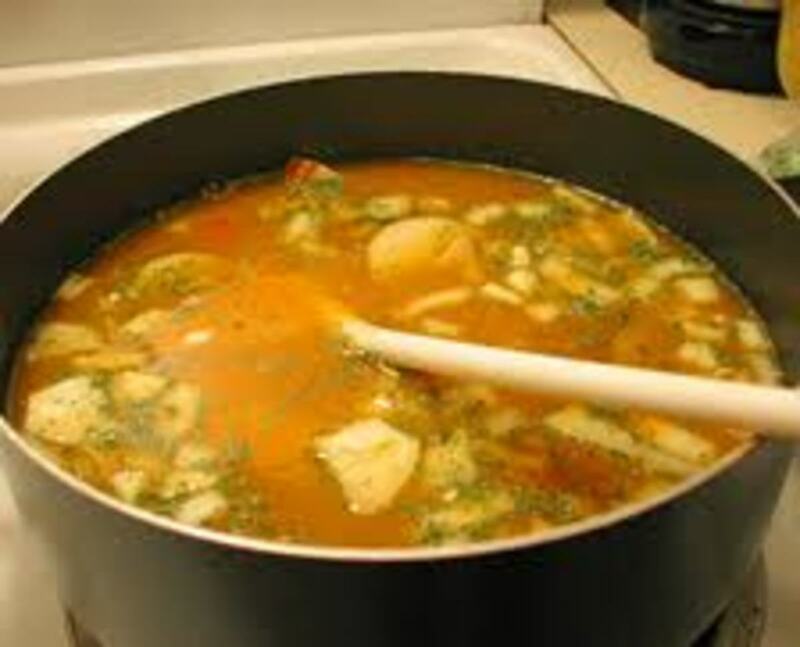 Can veg broth be used instead of water for the soup? havnt weighed myself yet. but feel on quite a buzz. the only downside at the moment was I became very constipated today! apologies for sharing this, but perhaps that's what all the bananas are for today. I do not know how much I have lost so far as I have not looked at the scale as recommended. I made the soup today, followed the recipe except cooked it a little longer (about 10 minutes) and added crushed red pepper. Actually really good! 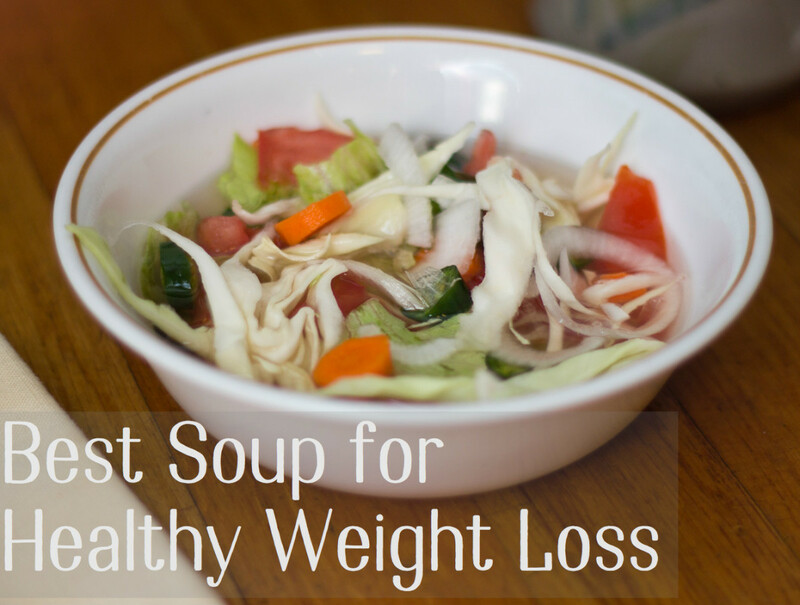 Can I use Progresso Vegetable soup? Is there any specific type of tomatoes i should use? Cant we add vegetable juice for this diet? I am on Day 4! I made it! I have just made a batch of the veggie soup. That was pretty easy. I will enjoy my 8 beautiful bananas, but 2 to 4 of them will be blended with skimmed milk in my Nutri-bullet. So far I am down 4 pounds and it feels good not to be a slave to the fast food or the chips and cookies! Day four feeling good and feeling different!!! On day 4 is it ok to eat a 70 calorie Heinz tomato soup for dinner? @saman its ok if you skipped a meal or a whole day don't restart. I'm hungry and crave "real food" of course, but this diet is making me feel good about the good foods I'm putting in my body, plus all the water I'm drinking. I'm on the third day now and I think my stomach has gotten a little flatter. I can tell this is a good diet. can I have fat free/sugar free ice cream instead of milk? I can't eat 8 bananas. does it matter how many fruits and veggies I eat? how many rice servings per day, 1/2 cup to 1 cup too much or not enough? @Haris Thanks a lot for this great plan, i don't know if you still reply to comments or not but it's very important please answer me. @Belydancer wait for 7 days before taking any measurements. Best time to measure results is towards the end. I saw some comments under Day 4 in regards to hypothyroidism ... so each day a person with hypothyroidism is limited to two meals? And the smaller one is in the morning the larger one is in the evening and protein is to be added to the evening meal correct? I'm on the second day. The first day was difficult because I was hungry a lot. Drank tons of water. I stepped on the scale this morning and I was down 2.5 lbs! Motivated to continue!!!! Hi there- I cannot eat any dairy products. Will the results be the same if I substitute with almond milk? Starting day 4, and already down 4 pounds. Started at 148, today I weighed in at 144. Very excited, just follow as instructed, it's not hard at all. Plenty of energy and variety. @Arianna yes broth is a good choice. Can I use broth instead of water for the soup? Can I put vinegar on my veggies and salad? What can I substitute the chile for? Can i add some pea and corn to my soup instead of lettuce? And also what if i drink ginger and cinnamon tea during the day? @rams calories don't matter ingredients do. Yes you can try other recipies but keep it simple. Can I drink any other low calorie veggie soup than your recipe? Hi can I drink lowfat chocolate milk since I don't like white or 1% milk? Can i eat yogurt? Anyone with borderline diabetes and hbp can't do this diet? So i boiled the diet soup and everything wilted lol. Doesnt look like the picture! Is that ok? I know when u cook veggies that they lose the nutritional value so is this ok? Can I add beef broth to the soup? And is cigar consumption tolerable? @charlotte M haris already mentioned that sugar free ice cream can be taken as a substitute. But the best thing is to use skimmed milk. is it fine to add 1tbsp chicken stock powder to my soup? I can't drink any types of milk, I really hate the taste is there anything I can have as a substitute??? Sugar free icecream or cheese maybe???? I had a banana, a small bowl of soup and a glass of milk for breakfast and lunch on day 4. I also had a banana as a snack between breakfast and lunch. It's almost dinner time and I feel really full:( I don't think I can manage 8 bananas. Why 8? Is it for a chemical thing? Can I just eat 4? can you increase the number of banana intake than 8 or does have to be 8? From Day 4, can I use equivalent weight of sweet potato in the soup rather than eating the bananas. They seem to have similar nutritional values. If not, why not? I am on day 4.. My comment never got replied so what I did was have 1 banana and 1glass of milk for breakfast, at 10:30am I had another Banana, for lunch 2 cups of soup, 1 banana ,1 glass of milk. At 3:40 another banana. At 6:40 1/2of banana. Dinner 2 cups of soup, 1 glass milk and 1 banana. Total: 5.5 bananas, 4 cups of soup and 3 glasses of milk. I also asked what the portion "a small bowl of rice" means in CUPS. Please answer before tomorrow! Tomorrow I start day 5! I have started this today. Day one has been fine. Had oranges, apples, watermelon, strawberries and a grapefruit. Looking forward to day 2. I understand that from tomorrow on we are only to eat at the given times. Correct? Can someone please advice on what to follow for day 4, I am a bit confused. The chart says that breakfast we are supposed to have 1 banana, 1 glass of skim milk, is this 8oz?? Is the soup for breakfast a must or can you just have soup as one of the snacks? @B reduce number of bananas and use papaya or apricots. @Jerome yes pickles are good. I have a question... I am on day 2. This is tough, but reading all of the comments, I know it's going to work. That being said, I do not like bananas too much and I hate milk...are there any subs? I can probably get through the bananas, but milk is tough. I was thinking yogurt-low fat? @dev its a sign that you were under eating and i never said you have to under eat. Just eat from menue allowed on that day. Eat every 3 hours , small multiple meals. 12 hour work requires a lot of energy. Use chicken plus vegetable broth. I work in surgery, on the second day of this diet I got very fatigued and almost passed out while in a case. I actually had to have someone cover the rest of the case for me because I began getting sick. Is this a sign that this diet doesn't provide enough food or calories for me to make it through a 12 hour work day? Can you use garlic to add flavour? I'm very happy to read your diet plan post, its very interesting,i will try this diet plan soon, i heard banana contains more fat than other fruits, i don't understand why you are saying to have banana in the day 4, please clear my doubts. I am on day 5, but my problem is i can't drink milk. I subsituted with 1/2 of bulgarian yogurt diluted with water. I hope it's ok.
As far as the soup, i added garlic and cilantro, it really enhanced the taste. Can i add some oats and few chicken strips to the soup. Thanks for the great diet. After this diet plan will we put on wait if we get back to the normal life style. Please help me as i need ti lose 30 kg in 3 months . Hi again ! I have a problem with the bananas ! I can't eat all of them !! Even if I blend them with milk, at the end of the day I feel to full and heavy! What other options I have for that day? can i take tea during this diet plan? @Natalie Milton No restriction with diet soup quantity have it with every meal or at least once per day.